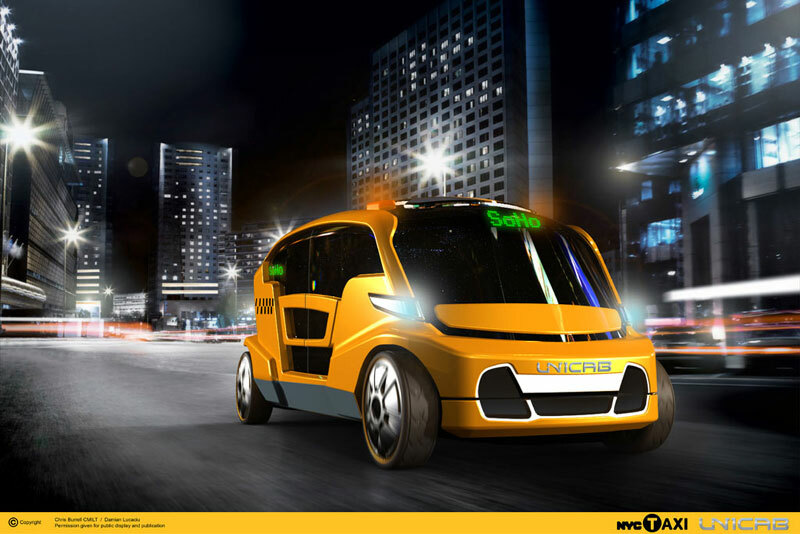 The Unicab, one of the submitted proposals, hasn’t been picked yet, but it’s certainly getting a lot of attention for its sleek design – which shares only the iconic yellow color with today’s yellow cabs – and its innovative eco-friendly technology. 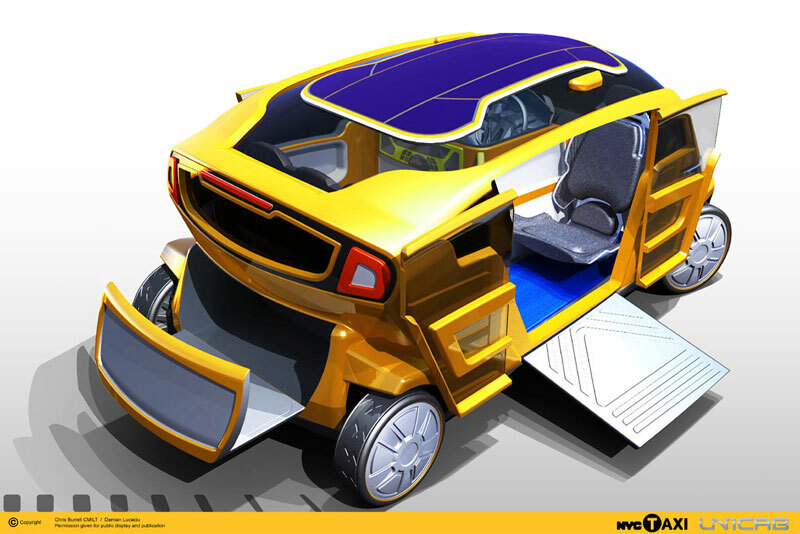 The Unicab, a four-seater with a light strong steel body, is designed as a fully electric vehicle but also has solar panels on the roof for additional energy, along with brake energy conversion, hydrogen fuel cells, and plug-in recharging. In addition, passengers would benefit from a built-in infotainment unit and a large luggage compartment. The cab’s wheelchair ramp would also make NYC much more accessible, and its giant windows would give all passengers a great view of New York’s vibrant street scenes. The more you share, the less your fare. Unicab designers have embraced cab sharing to make their cab not only easier on the environment but also on passenger’s pocketbooks. The Unicab features embedded “digital message visors”: green lights show where the cab is going (i.e. Soho), and red lights show the number of seats available. So Unicab would move more people in less time, reduce congestion, and lower air, noise and visual pollution in New York’s streets. It’s another way to make carsharing cool. The TLC has not yet set a date to pick its Taxi of Tomorrow. So perhaps there’s still time for media mogul Jay-Z to throw in his support: If Yellow Cab can get a “holla back” in his “Empire State of Mind” record, why not Unicab?